No one wants to hear that an employee has cancer. The news of such a devastating disease brings images of emotional sadness and uncertainty. Once the shock of the diagnosis wears off, the reality of the associated healthcare costs and lost productivity can send a corporation into panic mode. Employees are the human capital that drives the success of any business and losing a member of the team can cause a significant impact. Many industry leaders have embraced a sense of corporate responsibility when it comes to helping employees stay healthy. Here are a few things that you can do to help prevent cancer before it starts. Educational programs in the workplace should reach beyond your specific industry. Health and wellness topics should always be incorporated into the mix. By educating employees about cancer risks, proper screenings, and the symptoms to look for, you can empower them to be proactive about their health. Never assume that everyone knows the basics - because most people don't. Just like the old adage "an ounce of prevention is worth a pound of cure", cancer prevention can cost significantly less than cancer treatment. According to the American Cancer Society 1,529,560 are predicted to get cancer in 2011. In 2010, cancer costs were over $263 billion. Most of this cost impacted employers through healthcare costs and loss of productivity within the workplace. 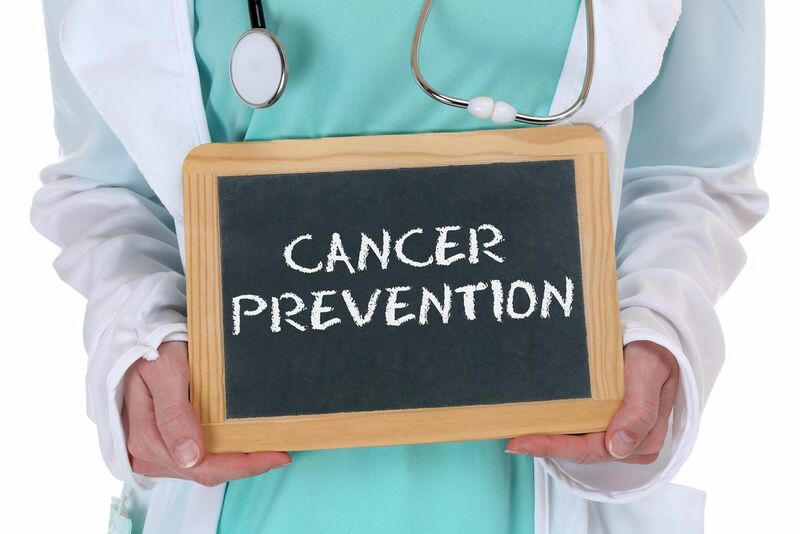 Cancer education is the best prevention strategy and the workplace provides a captive audience ready to be educated. Show your employees that you care about their health and wellbeing and it will also improve morale and increase productivity. Educating employees can help save lives and protect the bottom line. Employees should be encouraged to take a day off for their annual physical exam. One way to encourage this in the workplace is to provide a paid day off that is specifically dedicated to this purpose. Women should also be educated that a physical exam goes beyond the annual pap smear and men should be encouraged to have their prostate checked. Health fairs within the workplace are a great start, but should never take the place of an annual exam. These should be geared toward promoting health and educating employees on healthy habits. As an employer you may want to consider a reward system for employees that are proactive by attending health fairs and making sure they have their yearly physical examination. Most patients report that work is the main source of their stress. Finding creative ways to decrease stress and anxiety in the workplace will not only encourage higher productivity, but may reduce healthcare costs. Many diseases, including cancer, have been linked to stress and a person's inability to relax. Some large corporations have provided employees with a gym and other creative outlets that help elevate mood and control the harmful effects of work related pressure. Unfortunately, most of the workforce consists of those with sedentary jobs. As an employer, you owe it to your employees to help them get moving. If your company is too small to provide a gym, find other ways to encourage exercise. Having a morning or lunchtime "boot camp" is a great way to encourage staff to decompress together. Exercise is a great way to decrease the risk of cancer while improving mood and overall health. Smoke breaks are a thing of the past. Take a stand against cigarette smoking by creating a smoke-free environment. Nicotine is related to a number of illnesses, including cancer. Employers who provide places for employees to smoke are enabling them to continue with a bad habit that not only can harm them, but also the company. In the US, employers pay an average of $2,189 on employee compensation claims for smokers, versus $176 for their non-smoking employees. Furthermore, smokers are ill more often and miss an average of 6 days a year, 3 more than the non-smoker. Having a smoke free environment will also give a corporation an advantage when negotiating health, life, and disability insurance rates. The US Surgeon General concluded that smoke-free work environments decrease the amount of tobacco use and also increase the success rate of those who are trying to stop smoking. Current and former smokers make up 90% of all lung cancer cases, so become a corporation that takes a stand and help your employees help themselves. Sick Building Syndrome (SBS) is the cause of illness in many employees. Even a new building can cause employees to feel ill due to their choice of cleaning products. Harsh chemicals often contain Volatile Organic Compounds or VOCs, a type of toxin that leads to indoor air pollution and ultimately cancer. Talk to your cleaning company or staff and only allow green commercial cleaning supplies.If your company is building or remodeling, be sure that carpet and paint choices have low or no VOCs. These products have become more readily available and are now more competitively priced. Employees will eat at least one, maybe two, meals during the course of their work day. The employer has a prime opportunity to promote healthy eating habits. Snack machines and corporate cafeterias should avoid foods that contain artificial sweeteners and additives. Foods that are found in nature have the best health benefits. Good nutrition is the first line of defense against cancer. For example, berries, green tea, and whole grains are just a few foods that have cancer fighting properties. Companies should encourage good nutrition in the workplace and in their cafeterias. Bringing in a health expert to explain how nutrition can play a role in cancer prevention could also be a benefit to your organization. Good health starts at the top and gains momentum as it spreads through the company. Executive physical examinations are a great way to raise awareness, as well as educate the top talent about their own health. C-Level executives are the gears of a corporation and need to maintain optimum health so that they make good decisions while working efficiently and effectively. Finding cancer and other illnesses early, when they are still in the treatable and curable stages, is the purpose of an executive physical exam. These half day physicals are an investment in your top talent and one that could save your company from a huge upset down the road. Make an investment in the wellness of your leaders and watch them help lead others to better health. Your company has a great opportunity to make a huge impact in the health of your employees. Small things can make a big difference in the prevention of cancer and other illnesses. Be a leader and take proactive steps to protect your best investment - your employees. Drs. Walter Gaman and J. Mark Anderson, experts in preventative and proactive medicine, are managing partners of Executive Medicine of Texas. They have co-authored the book Stay Young: 10 Proven Steps to Ultimate Health and co-host the popular Staying Young Radio Show. You can learn more about them by visiting www.emtexas.com. to receive new content, industry news, and more...delivered to your inbox!